Fitness is an art. But you keep this art alive by practice. 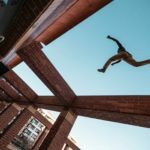 The parkour fitness is a lot different from regular fitness. 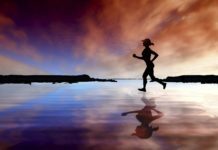 You start fitness regime and you will notice that you are short on shoes. The split toe shoes are for all those fitness enthusiasts who are looking to increase their parkour fitness. Before we dive deeper about how the split toe shoes help parkourists and traceurs. Let’s discuss what are split toe shoes and why are they needed. 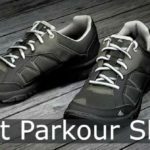 Best Split Toe Shoes for Parkour – What are they? 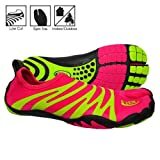 Split Toe Running Shoes – Are they Good for Parkour? Split toe shoes have a gap between the first toe and the fingers. This gap is prominent from outside as well. Instead of a shoe acting as a single unit, the toe and finger gap makes it act like a glove for foot. The split toe shoes are a new concept and used by barefoot runners. The reason these split toe shoes have become so popular is because traceurs are trying to climb walls, move over obstacles, and run on uneven surfaces. Regular shoes can get ruined easily during the practice. They also don’t offer enough grip to hold the players. But the split toe shoes are perfect for these type of stunts. They offer grip and also allow double hold through toe and the fingers. With the split toe shoes you can literally use your feet as your hands. Think Tarzan! Here is a list of the best Split toe shoes for Parkour and free runners. These shoes by Vibram are one of the most frequently bought on Amazon. Made of polyester fabric, the split toe shoes are highly praised for their durability. Although, some people were concerned that the rubber sole might be a little too thin, but it has now been concluded that the rubber sole provides excellent grip on any surface. 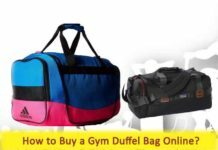 It also has a high shock absorbency which is a very important factor while considering to buy shoes for parkour as it is very easy to get foot injuries. These split toe shoes provide extra agility and freedom of movement which makes them very comfortable. ZemGear is a brand which has become one of the most popular brands in the market for best split toe shoes for parkour. These shoes have a few special features for women. Shock absorbing technology and Aegis Microbe Shield, which prevents bad odour, are few of them. The shoes are not only designed to provide protection and comfort but also to look stylish as can be seen by the colour scheme used. ZemGear has used protective toe and heel guard to provide extra protection to feet while practicing parkour. They are said to be suitable for both land and water use. These shoes can be bought under $55 on Amazon. These lightweight rubber soled shoes have also made to our list due to the guaranteed protection provided and durability. These are some of the best split toe shoes for parkour. 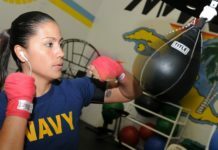 Most of the reviewers have given positive feedback and said that these shoes have allowed them to improve their skills and practice freely without worrying about getting injured. Fila guarantees protection against jagged rocks and rough terrain with these shoes. The shoes can be bought within a price range of $40-$60 on Amazon. As mentioned earlier, products by Zemgear provide guaranteed quality. These shoes are considered to be the best due to their great ‘grip ability’. With the round toe design, these shoes can provide natural flexibility and breathability. The shoes are very lightweight and will help to enhance your foot strength. Shock absorbing PORON performance cushioning provides excellent protection. They can be bought for $90 on Amazon. Suppose you are climbing a ledge. How will the split toe shoes help you climb it faster? They will provide you grip. But now let’s suppose you are climbing a pole. The shoes won’t be of any use because they simply can’t bend to offer you grip. Enter split toe shoes for parkour. These have a gap between toe and the fingers. So, when you try to climb the pole, these will help you climb up by gripping the pole between the toe and fingers. Talk about resistance and rigidness. 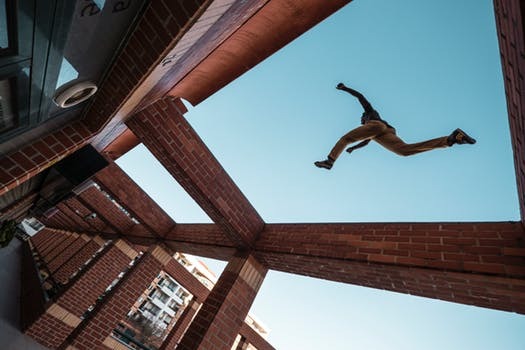 This wasn’t possible with regular parkour fitness shoes. So, what is the summary of it all? 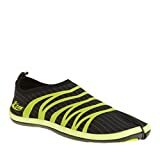 How are split toe shoes helpful for parkour?